Is your fudge made from pre-mixes and powders that are now commonly used by other fudge stores? How much do I get in each fudge? How does it do in the heat? Do you only ship USPS? I am unhappy about my order, what do I do? Do you sell your cookies individually? Are any of your flavors gluten free? Each fudge container has 9 to 11 ounces of fudge poured. 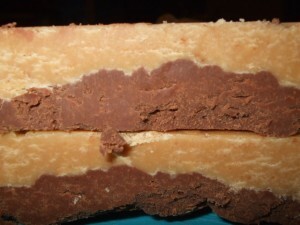 There is a variance because each fudge contains different ingredients which could alter the weight slightly. Your order typically takes 1-3 days to ship out. It is sent out 2-3 day priority USPS with a tracking number and confirmation number emailed to you upon shipment. Please double check the email address is entered correctly on the checkout if paying by credit card to avoid not receiving notices through email. It is rare for you not to receive your order within 4-8 days. Please email me directly so I can make sure you are taken care of! It arrives in good condition 99.9% of the time, unless the local post office leaves it in extremely high heat! If it arrives soft you be can be assured it was typically cool most of the trip, until it went out for the delivery on that day in your area. Overnight fed ex on dry ice can cost up to 90 dollars, which is unreasonable for customers to pay so I just ask that customers use precautions when ordering as I like to offer free shipping to customers. Usually the only problems occur if the local post office in their town leaves it out in hight heat. Its ok if it gets a bit soft as its a “cooked candy” and firms back up with little refrigeration, but does melt if it hits 125 degrees. I ship to all 50 states within the United States. I currently do not currently ship outside of the US. Yes, I have experimented with other shipping methods and have generally been quite pleased with the speed of delivery and it allows me to pass the savings on to the customer to keep shipping free for everyone! One of my advantages over big companies is that “I simply out-care them” and love my customers with all my heart! My customers are why I am able to do what I love everyday, which is make fudge and put smiles on faces! Currently the cookies are only included in the fudge special. I currently do not have the cookies for sale as I need to come up with a price and how to package them! All of my current products are gluten free except: Cookies and Cream, Nanaimo Bars, Milk Chocolate Kandy Krunch, chocolate chip cookies, and butter tart bars! Hand Made Sweets and Treats Baked To Perfection. Hi, My Name Is Ann. 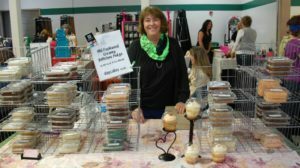 I Make Fudge In Small Batches To Perfection For Customers Like You, Who Appreciate The Mouth Watering Difference. Unlike Most Bakeries, I Never Outsource Any Part Of The Baking Process And Have Thousands Of 5 Star Reviews From Repeat Customers Around The World. Perfecting My Fudge For The Past 15 Years, I Invite You To Give Me A Chance To Serve You The Best Tasting Fudge You Have Ever Tried. …..I want to give you a site wide discount of “BUY THREE, GET ONE FREE”. This NEW discount is conveniently given at checkout. Thanks to my customers, I have been in business for over 15 years. I am located in Bonney Lake, Washington at the foot of Magnificent Mount Rainier. My fudge is made with pure cane sugar, sweet cream, fresh creamy butter, and pure vanilla extract. Only pure ingredients that you actually taste, making my fudge smooth and creamy, never grainy. My fudge is made the old fashioned way in small batches and hand stirred. The texture is decadent, the taste is rich, and simply melts in your mouth. My fudge is currently sold in convenient see-through resealable containers. Most of my flavors are gluten-free. 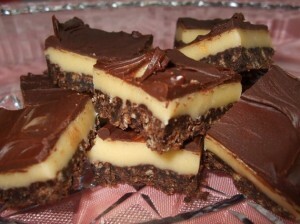 You will be amazed by the smooth and creamy texture, and the mouth watering flavor of my melt-in-your-mouth fudge. Your fudge will remain fresh for four to six weeks from the time you receive it. Of course you probably won’t be able to make it last that long after you have tried it. Fudge is best enjoyed when kept in the original container, at room temperature. You may store the fudge in a cupboard, but refrigeration is not recommended, as it may cause the fudge to dry out. Freezing of the fudge is perfectly acceptable for long term storage. 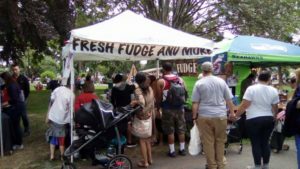 All fudge is freshly made and shipped via U.S.P.S. Priority Mail, so that you can begin enjoying the fudge immediately. I hope you will join all of the many people who have enjoyed my gourmet fudge. With a variety of flavors to choose from, I’m sure you’ll be happy with my selections. Look around my website and if you have any comments or questions, please feel free to contact me on Facebook live messenger here or write me below! If you are unsatisfied with the product in any way, I have a 100%, no questions asked, refund policy from within 5 days of the delivery date. You may also elect to have the product re-shipped at no cost to you.